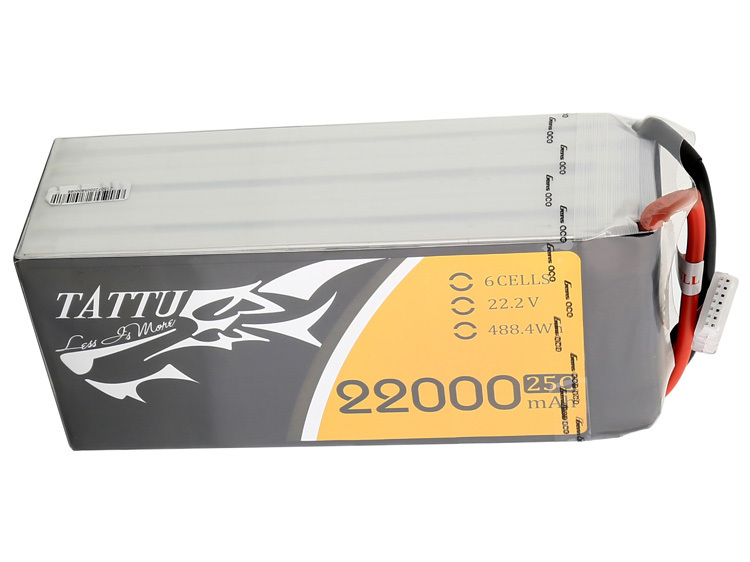 Notice:please contact with the sales person for detailed battery shipping method and cost. 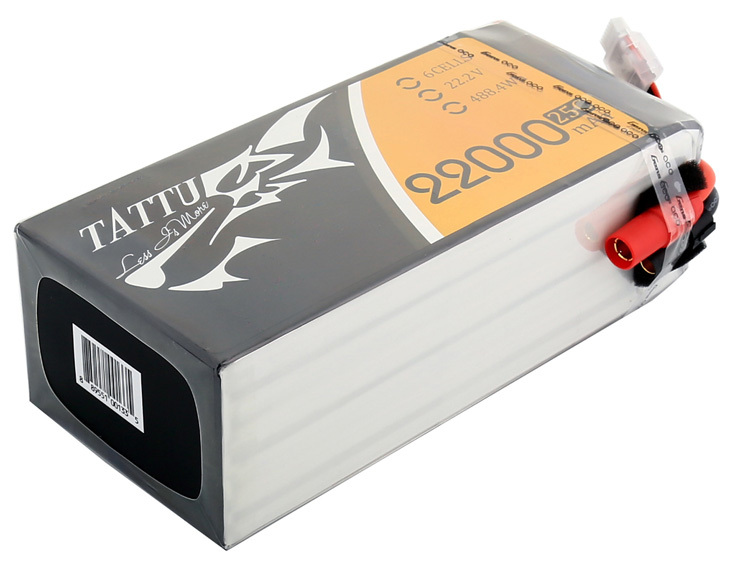 TATTU is a popular battery pack brand for UAV applications, The Tattu 22000mAh 6S 22.2V 25C LiPO battery pack is the best choice to match DJI S1000+ professional aerial photography equipment. Less is more as the slogan: the single cell is 22000mAh, each cells connected in series, it is “less” in the whole industry, but TATTU is committed to provide “more” clients the perfect flight experience, no matter in the field of aerial photography, aerial video, aerial mapping,aerial inspections, agriculture, etc.